In this welcoming entry seating area, color and natural light add impact to practical function. 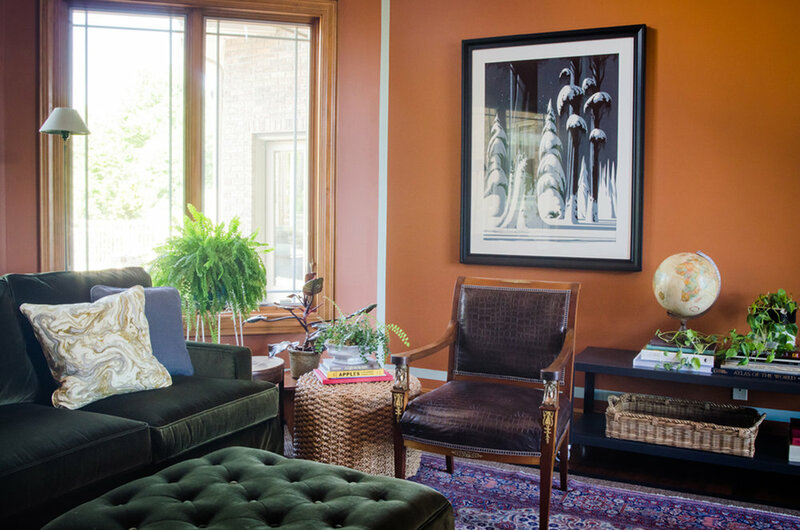 The green velvet sofa helped make this voluminous space feel cozy and comfortable. The orange wall color was the perfect compliment to let her love for plants and nature shine through. Pink adds an energetic pop of color to this mostly neutral room. 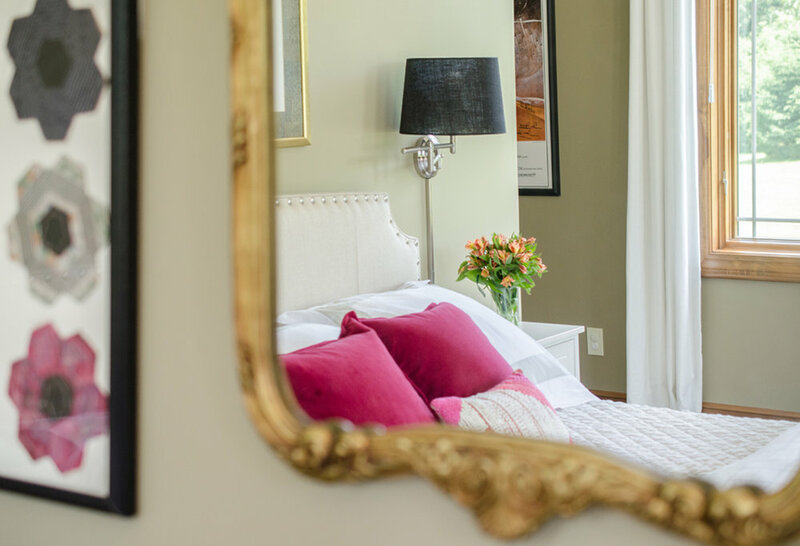 A mirror on one side reflects the views and sunlight from the opposite wall of windows. A treasured, vintage signed Star Wars poster is the star of this gallery wall. Walls are painted two-thirds of the way up, as is common in Europe, a reminder of their travels back in the day.